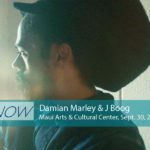 The parade will begin at 4:30 p.m. on Thursday, Oct. 5, starting from the UH Maui College along Ka’ahumanu Avenue and ending at the War Memorial Stadium on Kanaloa Avenue. The Fairground will open 5 p.m. The deadline for completed parade applications is Friday, Sept. 11, 2017, no exceptions. Officials with the parade said there will be a mandatory meeting on Wednesday, Sept. 19, at the Maui Arts & Cultural Center’s Alexa Higashi Meeting Room from 5:30 – 6:30 p.m.
To be in the parade, register and submit your application online here. Note: The Fair Alliance prohibits any display of commercial advertising (including, but not limited to, banners, posters, clothing, hats, pamphlets, pins, stickers, etc.) on or by any person, unit or part of a unit in the parade, with the exception of pre-approved units with commercial logos, and Fair Sponsor units. The Maui Fair attracts locals and visitors alike to enjoy an array of local food, first-rate entertainment, E.K. Fernandez Joy Zone, plus horticulture, orchid, livestock, homemaking, photo and art exhibits and competitions. 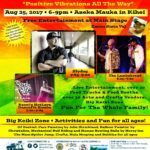 The Fair will have unique and innovative products and services in the “Maui Fair Products & Services” Tent, and attendees can visit the Events Arena where some of Maui’s most talented community groups, clubs and organizations perform and share their knowledge and skill. 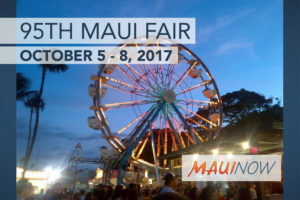 Other fun activities at the Fair include the Chili Cook Off managed by Maui Fire Fighters, the Maui Fair Pie Competition, and Baby of the Year Contest. 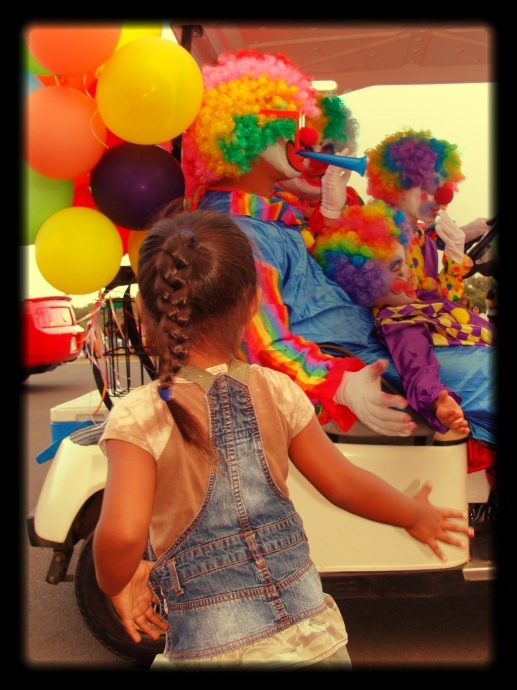 Maui Fair Parade Applications Due by Sept. 2, 2 p.m.